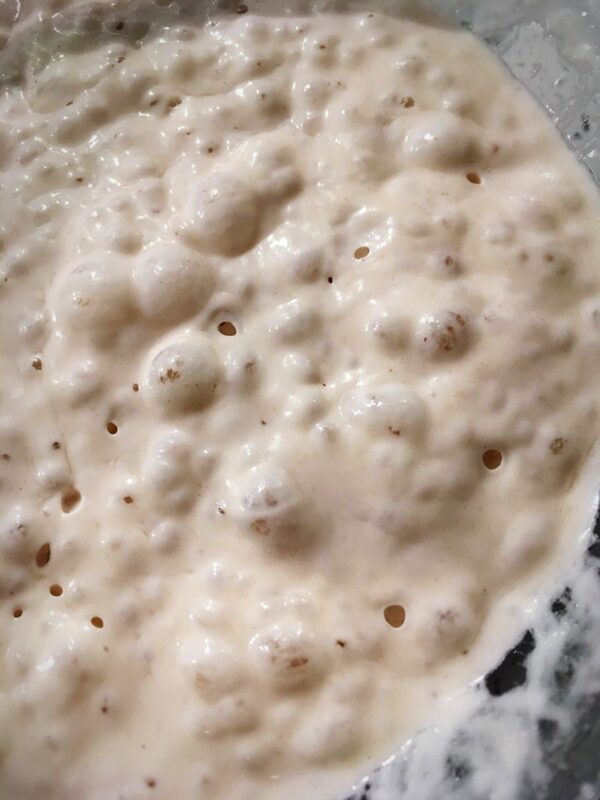 *Sourdough starter is created by mixing flour and water so that the natural wild yeast and good bacteria in the flour ferments and creates your starter; at the same time the mixture is attracting and benefitting from naturally occurring wild yeast in the air. 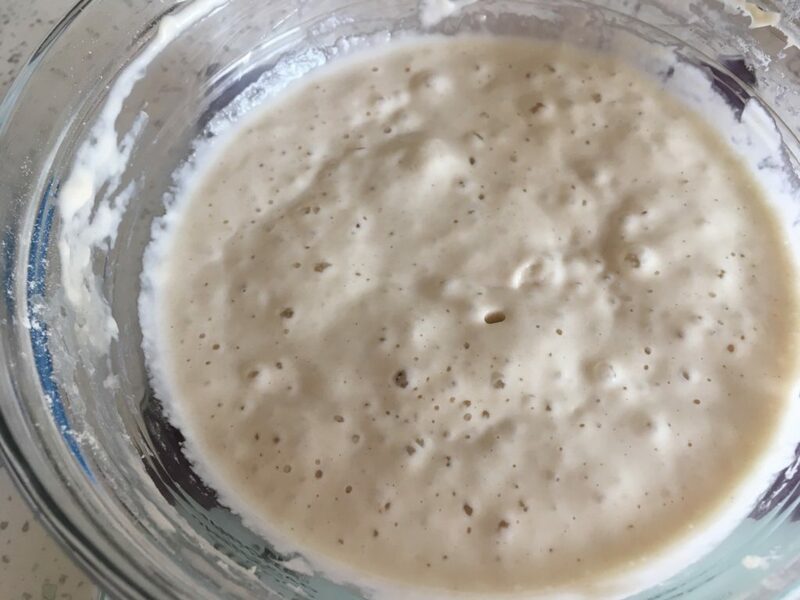 The more you work with wild yeast, the more you generate, so my kitchen is quite alive with wild yeast from all of the sourdough creating that I do. 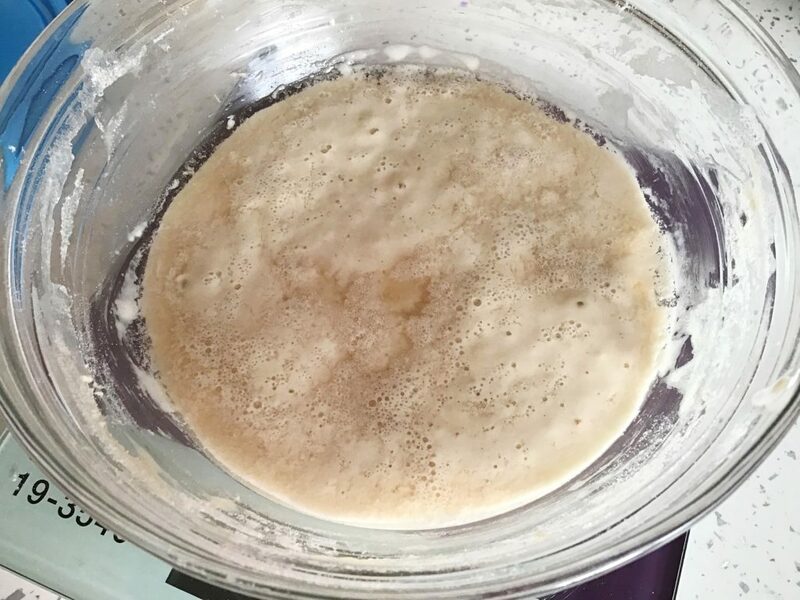 If making sourdough is new for you, don’t be discouraged if you starter takes longer to get active than mine – stick with it, it will happen! 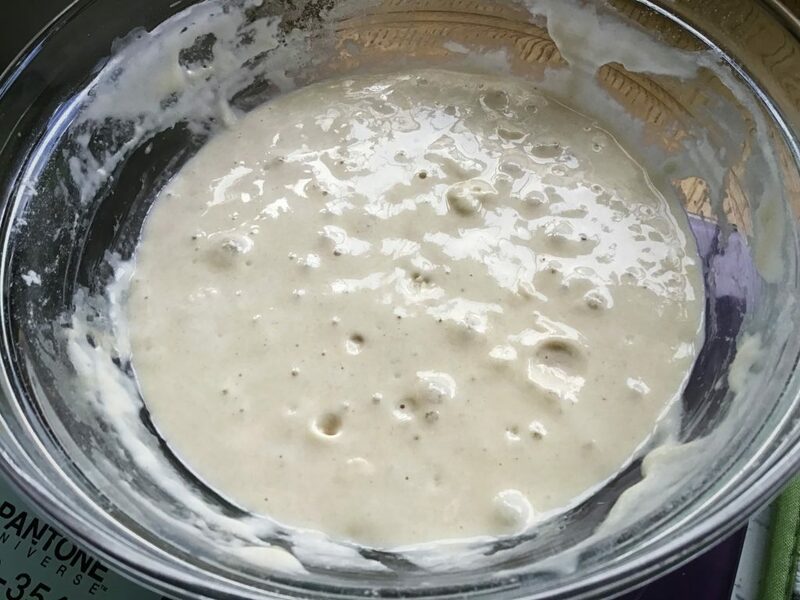 *The water is always boiled and cooled, you can use it at room temperature or cool, it will be fine; the flour that I use is always non organic strong white bread flour. For this starter I used Marriages finest strong white bread flour. *Keep it somewhere that’s not too cold, maybe even a little bit warm, but also not too hot. 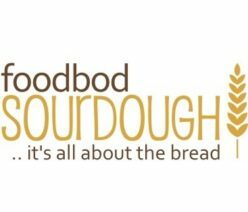 Sourdough responds to temperature; cold can slow it down, and heat can speed it up – but it can also go too fast! I made the starter in the photos with room temperatures between 15C and 20C. *I always use lidded glass bowls for my starters, they’re easier to use than jars; and glass rather than plastic. *When instructed to discard some of the starter, you really need to discard it. Don’t be tempted not to, or to start keeping too much starter. If you keep too much you will make your starter slow and sluggish. *Stir with clean stainless steel spoons and forks. *Beware of fruit flies, they love sourdough, so keep the bowl out of their reach. *Choose a name for your starter! 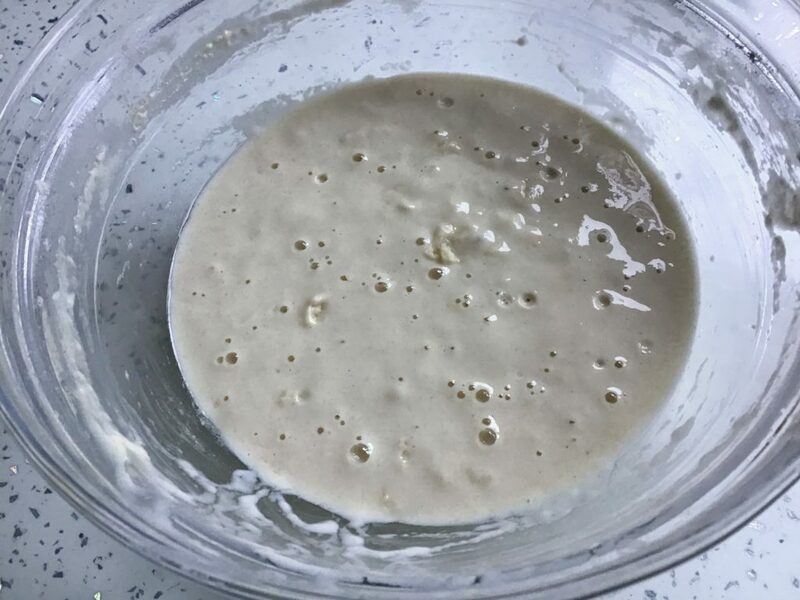 Mix 50g water + 50g flour in a bowl, stir well, scrape down the sides of the bowl and mix it all in, it will be nicely thick, and loosely cover it, allowing a slight opening in the lid to attract the natural wild yeast in the air. Leave the bowl on the kitchen counter, somewhere warmish if possible. 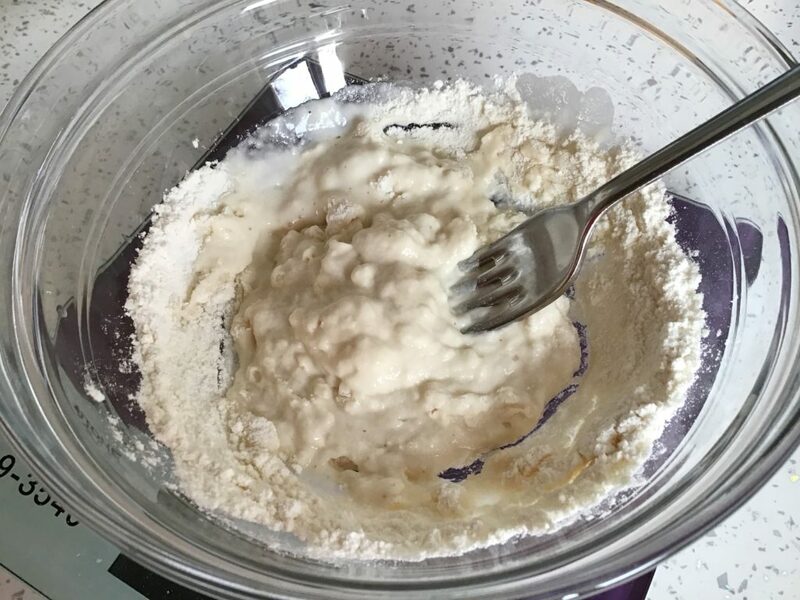 Add 30g flour + 30g water, stir well, scraping down the sides of the bowl again to mix it all in, loosely cover the bowl and leave on the counter again, as above. You may have some bubbles already; the mixture may already be very glutinous & bouncy once fed. 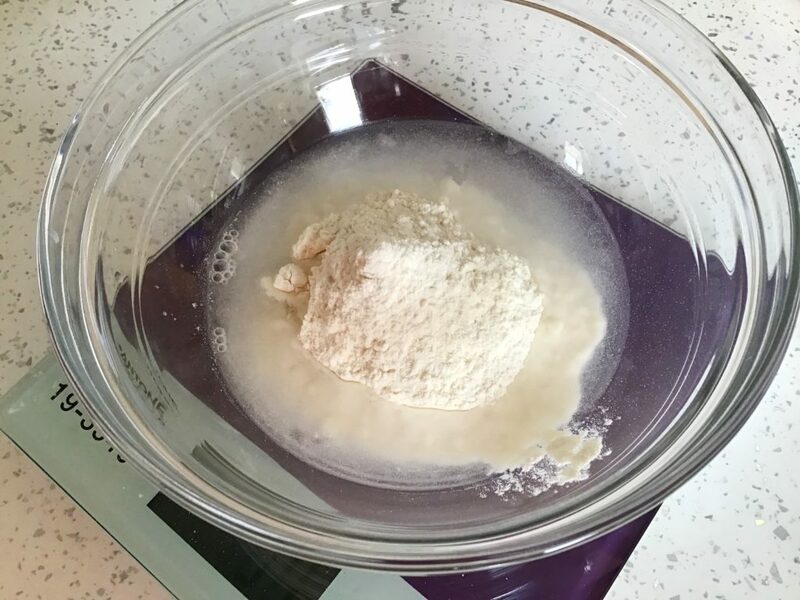 Add 30g flour + 30g water, stir well, scraping down the sides of the bowl to mix it all in, loosely cover the bowl and leave on the counter, as before. Around this time it will look really bubbly; this is the good bacteria at work, don’t be fooled that it is ready to use! The bubbles may even subside over the next few days but then they’ll return and stay. Discard half of the contents of the bowl. 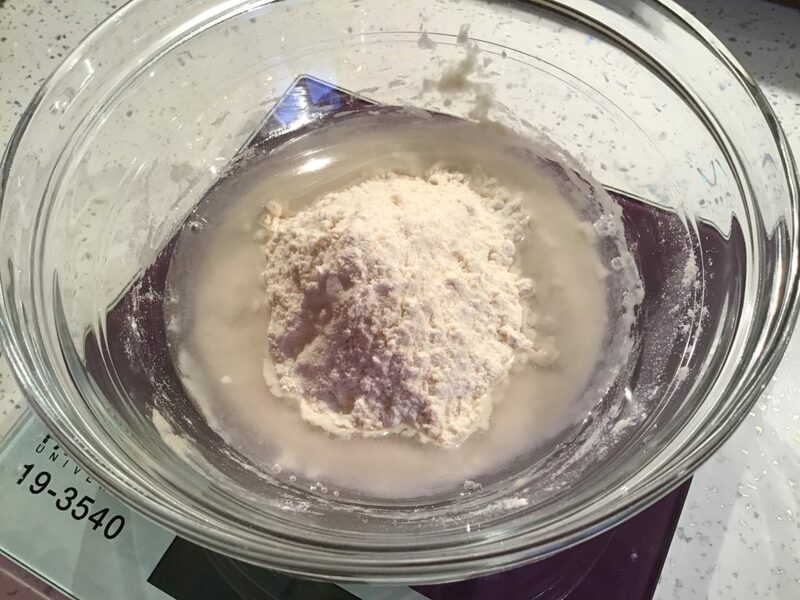 Add 30g flour + 30g water, stir well, scrape down the sides of the bowl, loosely cover the bowl and leave on the counter, as above. Your starter will be smelling vinegary, that’s all normal, it’s the fermenting process happening. Add 30g flour + 30g water, stir well, scraping down the sides of the bowl, loosely cover the bowl and leave on the counter, as above. 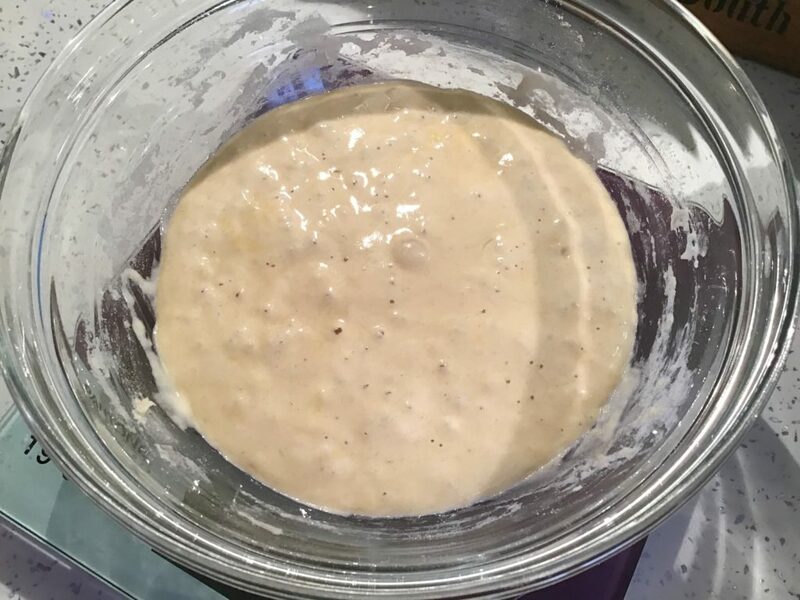 By now, your starter could be ready to use, the consistency should be thick and glutinous, and once it’s been fed and bubbly, the bubbles should be all the way through the liquid; but if you are not sure, keep doing the same discarding and feeding for up to 14 days by which time it should be ready to use. Don’t get disheartened, sourdough is a slow process, it requires time and patience and it will all be worth the wait. Starters also get stronger in power and flavour the older they get. The more you use it, the better it will get. A key thing to do is to get to know your starter. Feed and watch how it behaves, how long it takes to be bubbly and active and make a note of the room temperature and time to help you plan your bakes in the future. 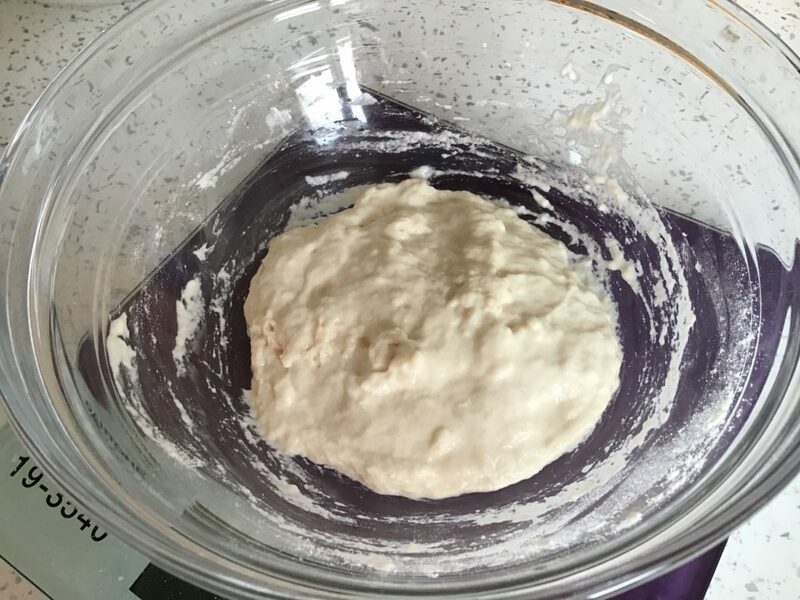 PLEASE NOTE: if at any point your starter develops a murky liquid across the top like in the photo below, it’s fine! Do not worry, it’s not ruined, it’s just hungry. It might have been warmer and it’s worked harder and faster during the previous period of time and now needs feeding. Just stir it, stirring in the liquid and feed as usual. This liquid is often called ‘hooch’ and by stirring it in you help build the flavour if your starter. 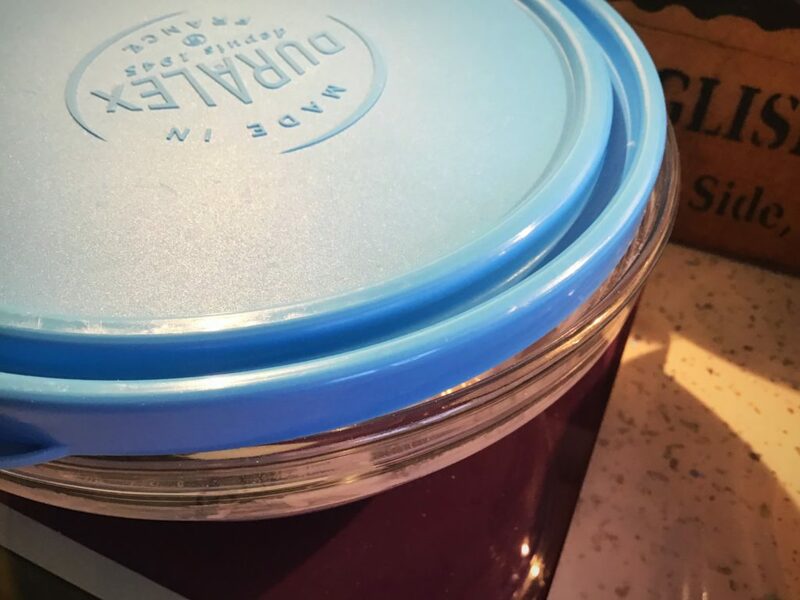 Once your starter is established, keep the lid firmly shut tight and store it in the fridge between uses. This puts your starter to sleep whilst you don’t need it. From this point you no longer need to keep discarding and feeding, when you’re going to use it, feed it to use. 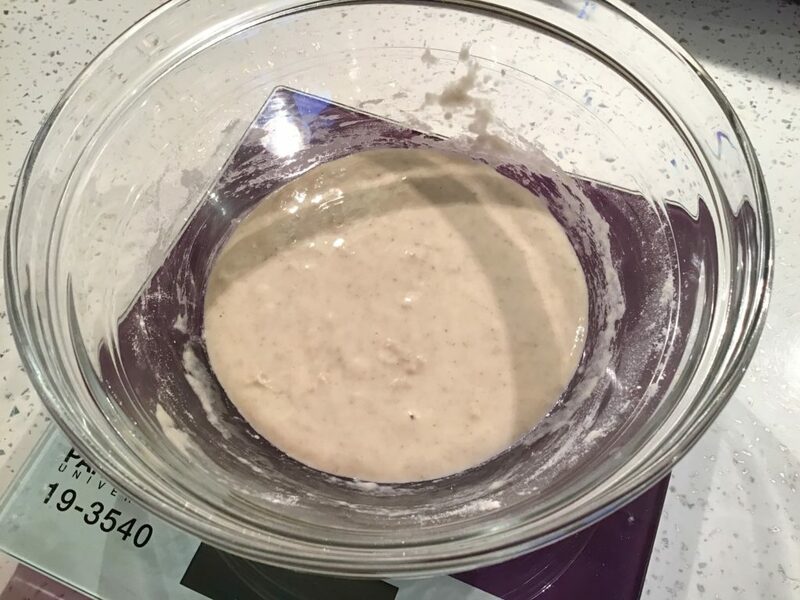 Always keep a base amount of around 100-150g and always feed the whole starter each time you want to use it, that way you build its strength with every use. 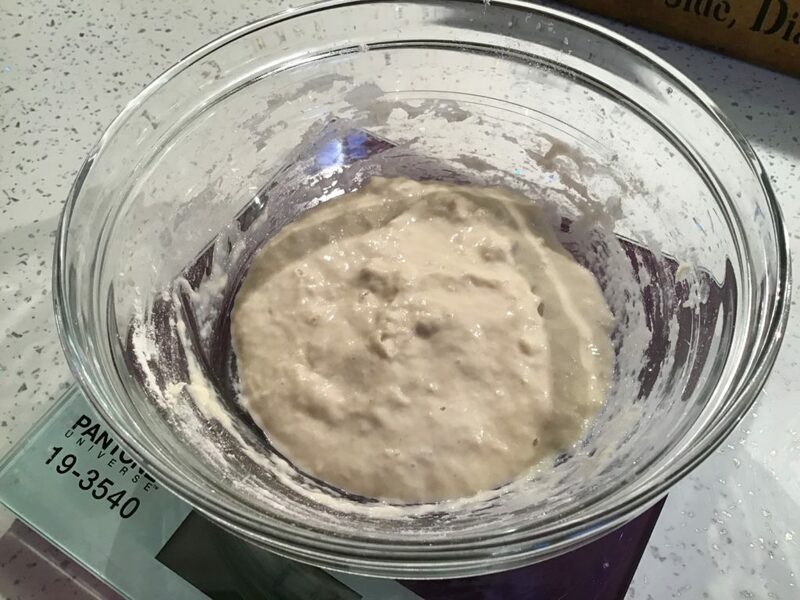 Note: you may have read about or used the ‘float test’ to test if your starter is ready. This is not a reliable test and I do not use it. 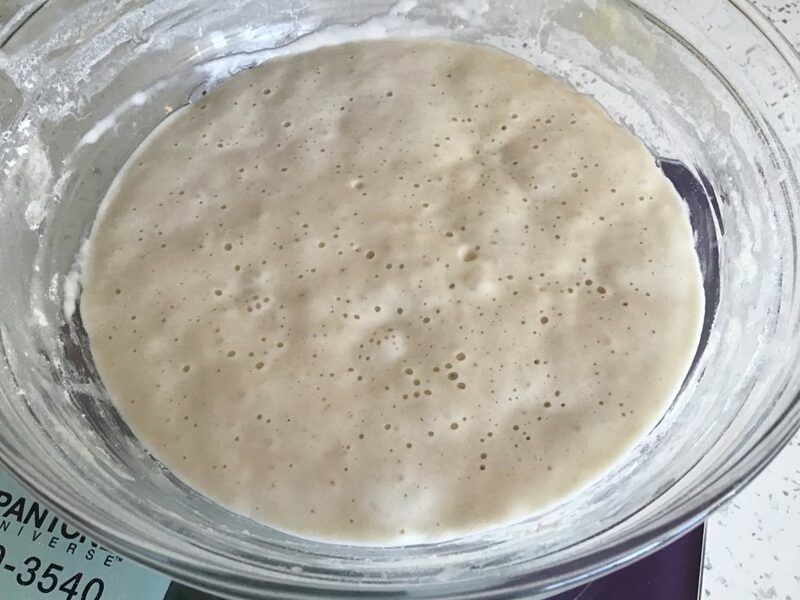 Having fed my starter and allowed it time to get active, I assess my starters readiness by stirring it, dispersing the bubbles, and seeing how quickly and heartily the bubbles come back, when they come back quickly and abundantly, she’s ready. If I stir the starter and the bubbles disperse and don’t come back immediately, she’s not ready. 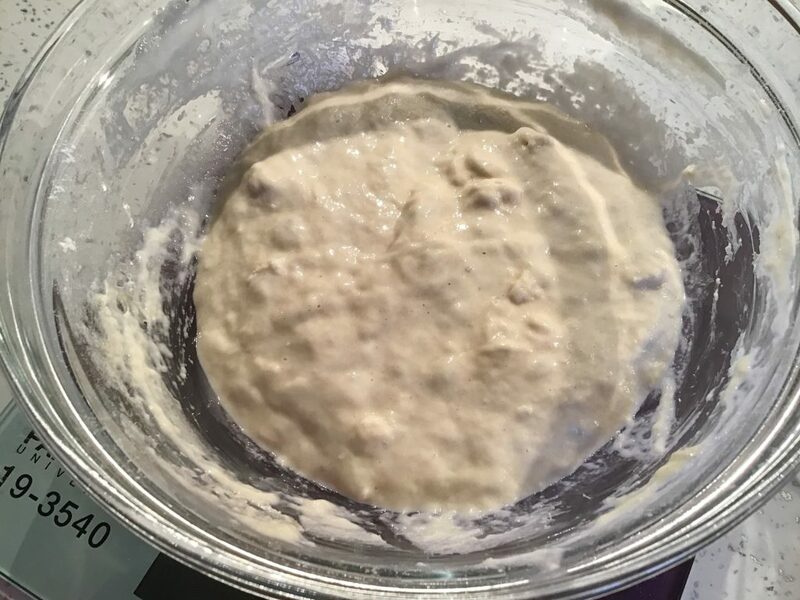 Refer to the rest of my website for details on how to use and maintain your starter, and to make your first loaf.